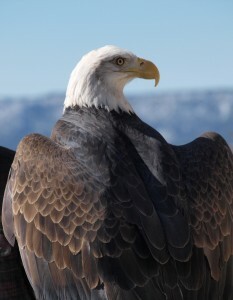 Bald Eagles (Haliaeetus leucocephalus) are relatively common in New Mexico during Winter months. Primarily fish eaters, they migrate south for open water to find food. Large New Mexico lakes like Navajo and Elephant Butte Reservoirs, as well as the rest of the Rio Grande corridor are the likely places to spot these large, impressive birds. When I used to fly fish throughout the Winter months, I would often see an eagle perched in a particular dead cottonwood overlooking a stretch of slow, quiet water. In Fall, this run was typically thick with Common Carp (Cyprinus carpio) averaging around 6 pounds size, relatively easy to see with clear water. By the end of the Winter, the carp were much less numerous. Studies in the 1980’s and early 1990’s found that individual birds returned to the same Wintering grounds each year from their Summer homes in Saskatchewan and Manitoba. An estimate of over 400 eagles are here in Winter. Don’t expect to see them in Summer, however–only four pairs are known to nest in the state. Attitudes regarding eagles have changed over the years. Although chosen and revered as a symbol by our nation’s founders, there was a 50-cent bounty paid by the government for each eagle killed right up until 1940. 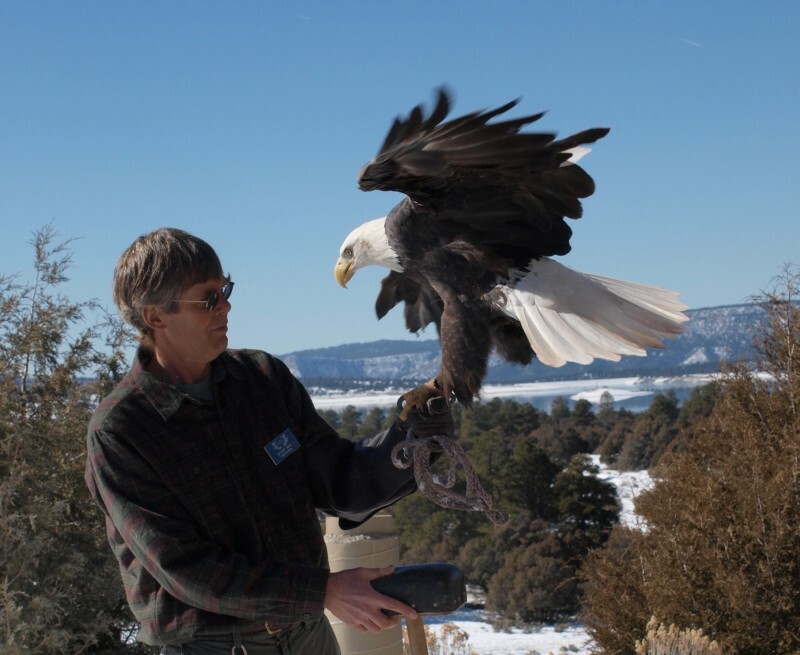 Now, places like Heron Lake State Park host annual eagle celebrations, and other parks like the Bosque del Apache National Wildlife Refuge also help visitors see and gain a better understanding of this magnificent bird’s place in New Mexico. This entry was posted in Uncategorized and tagged bald eagle, eagle, New Mexico, Santa Fe, wildlife, winter. Bookmark the permalink.